Located in the Indian Hills community, this well maintained home offers a quiet spot in a natural setting just minutes from the private 326 m/l acre lake. The home sits on 3 lots backing up to trees and a back deck just off the kitchen/dining area makes it easy to relax and watch local wildlife. Youll feel right at home when you arrive at this home and are greeted to an open floor plan that combines the kitchen, dining and family room. All three bedrooms are located on the main level and the oversized attached garage offers extra space for hobbies. 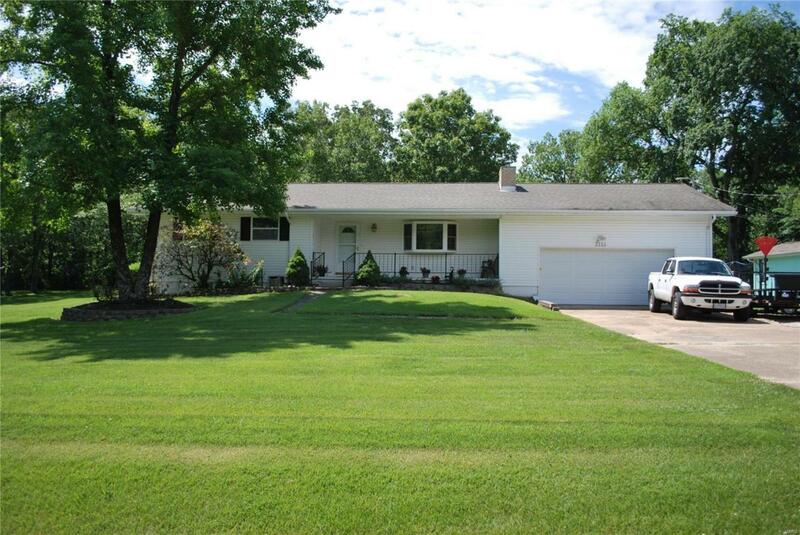 The home is recently updated inside and out with newer carpet and vinyl flooring throughout and is freshly painted. All ceiling fans, patio door, front door and garage doors and some windows were recently replaced. The home has a full unfinished basement and the back yard has two sheds for additional storage or workshop space. This is a must see home for those interested in living and loving the lake life in a private location.